My time at the Institute of Child Development has come and gone. I learned a lot and will miss the students, teachers and families so, so much. Since I didn’t have anytime to blog while I was teaching, I’ve decided to point out something really exciting that happened my last week at the ICD. On Wednesday, the tiniest baby squirrel was found on the playground by a couple of the students. 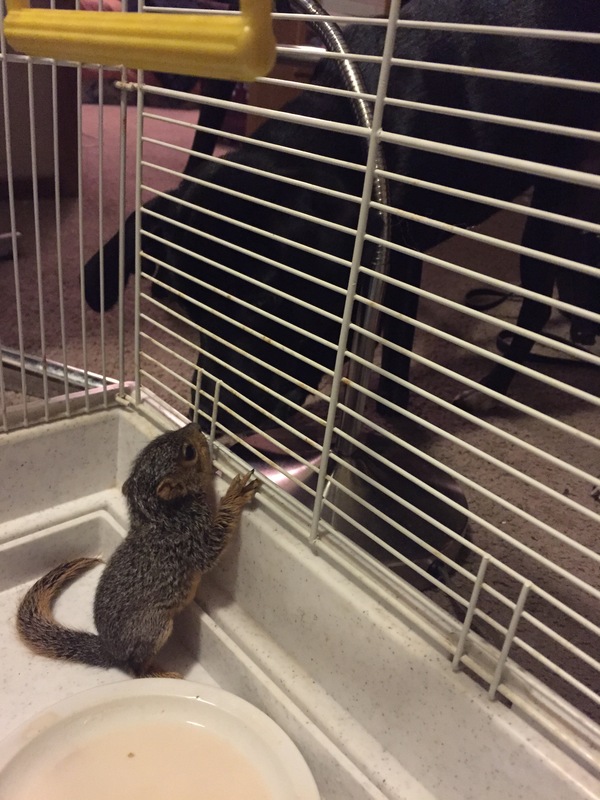 We found out through Wild Care of Oklahoma, the squirrel was probably only 4-5 weeks old. He was very playful and even tried to jump on our shoes! 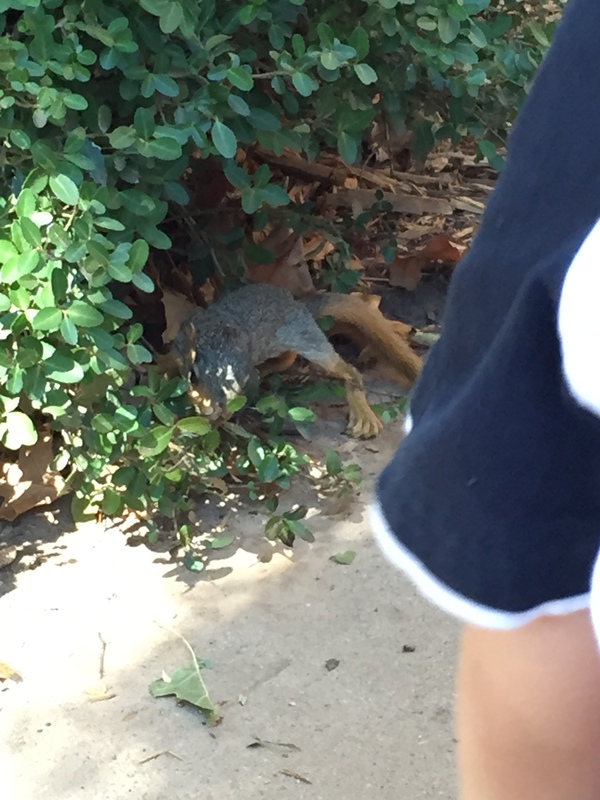 Of course, we were very cautious of the squirrel and asked the students to give him room in case he got scared. 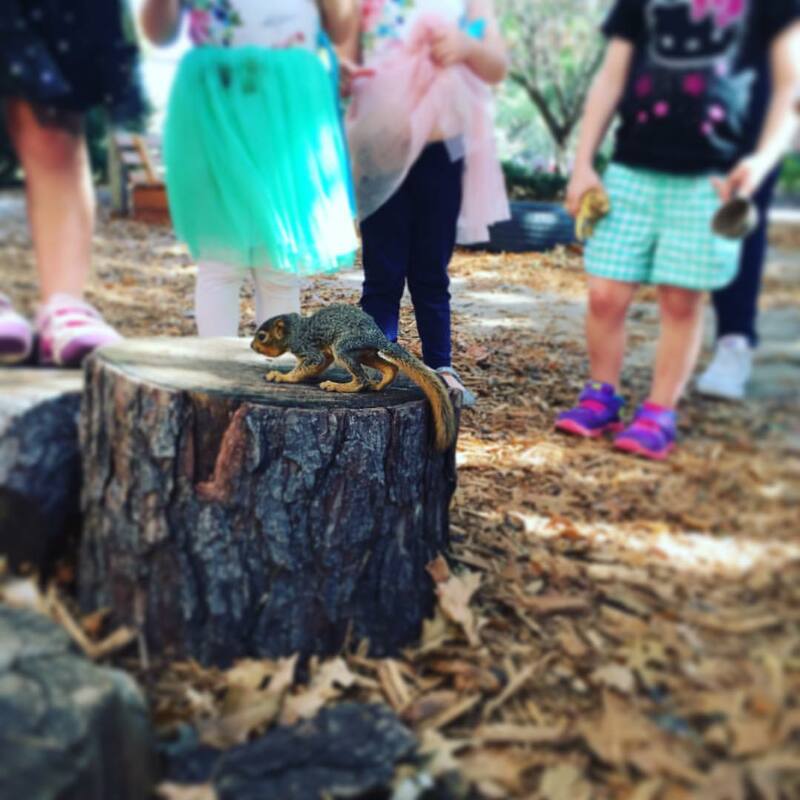 The squirrel provided a unique learning experience for the students. After finding the squirrel, we went inside and created a list of questions the students had including: “Does the squirrel have a mom and dad?” “How big will the squirrel get?” “What does he eat”? The next day I found the answers to their questions and we learned a little bit more about squirrels. (Did you know they have 5 back toes and only 4 front ones?! I didn’t). I loved this experience for our students, but also for the undergrad education students working at the ICD. In their classes, they are learning about these unique learning opportunities and I was overjoyed they actually got to see one! I took the baby squirrel home on Wednesday after mom didn’t come back because he seemed very dehydrated. I was hoping I could get him hydrated and let him back out near the school, however that wasn’t the case. I took him Wild Care of Oklahoma, as they take GREAT care of these little critters. Below are a few pictures I took of the squirrel on our playground, enjoy! When we first found the baby squirrel. The surprising thing was he wasn’t scared of the students at all! He was trying to play with them, kind of like a puppy. We had the students keep their distance. The baby squirrel came home with me on Wednesday. 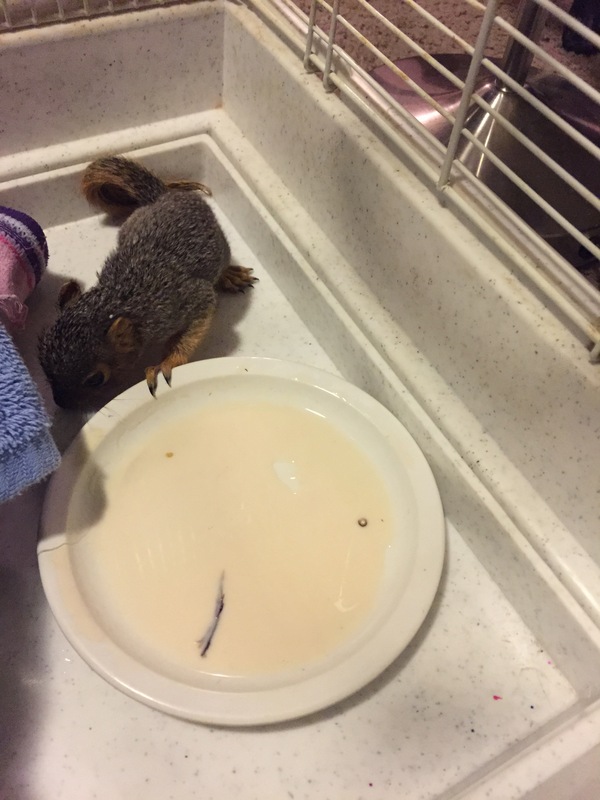 He drank some squirrel milk formula from a bottle and also from a small plate. My puppy had a very temporary little brother. P.S. The squirrel didn’t have any diseases nor was he rabid. 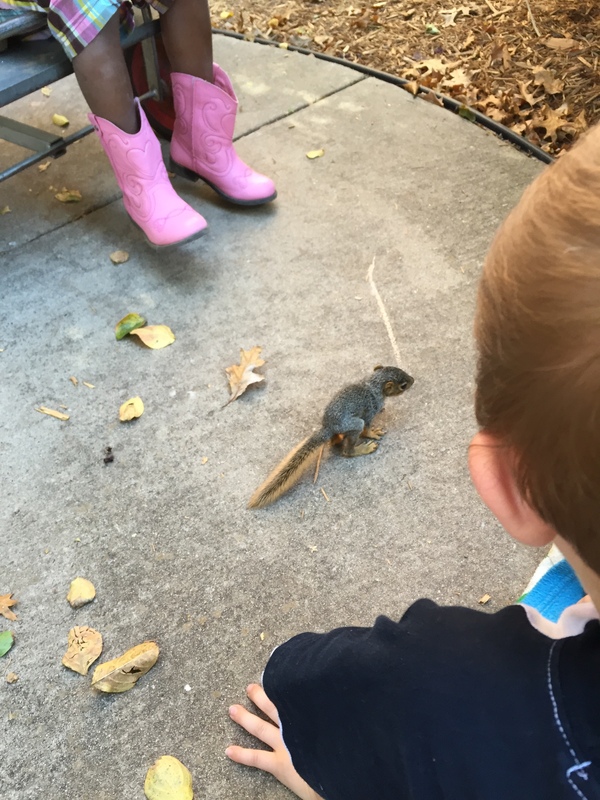 This entry was posted in education, oklaed, preschool, unique learning and tagged education, oklaed, Play, preschool, squirrel, students, unique learning, wild life.